CollageIT Pro - Multiblogger Giveaway - Be Glossy In and Out! With the kindness of Pearl Mountain we are happy to announce you that they offer 80 license codes (48 Windows & 32 Mac) Pro version. 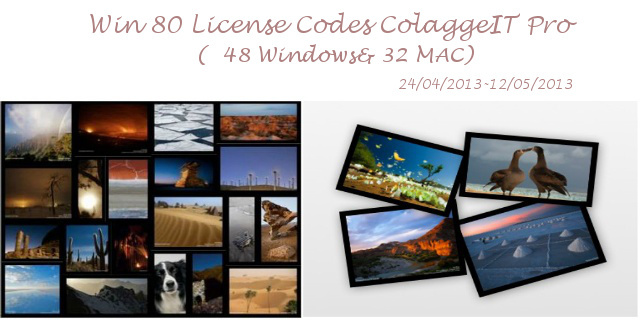 -save collage as an image file; set as desktop wallpaper; share through Email; or print it out. It is a multiblogger Giveaway, so the chances to win your own license code are very big. Everyone can participate as it is open worldwide. You can ENTER by completing our Rafflecopter form below.